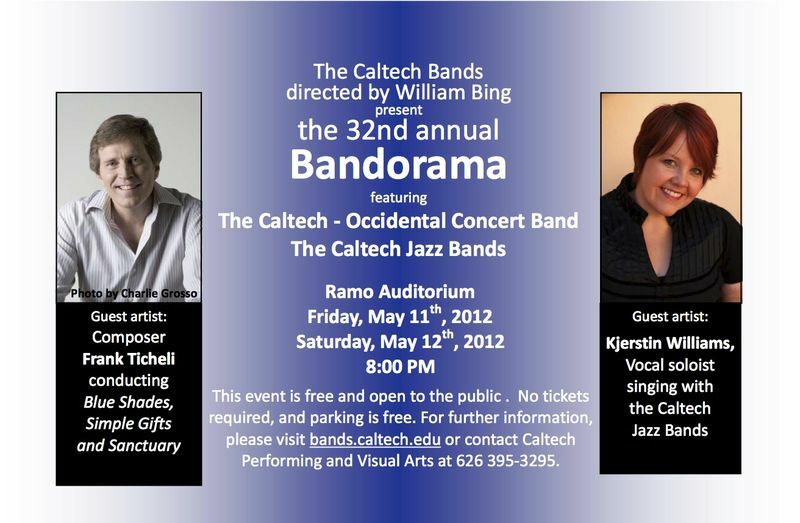 This weekend, I’m back in Pasadena as a guest soloist with the Caltech Thursday Jazz Band as part of Caltech’s 32nd Annual Bandorama concerts! I’ll be singing a lovely, lush arrangement of “Come Rain or Come Shine” and the sassy, swingy “Stuff Like That There”. There are two chances to catch the show: Friday and Saturday night at 8pm in Ramo Auditorium (building 77 on the maps at http://www.caltech.edu/map/). No tickets are required — it’s free! Posted: May 8th, 2012 under News, Performances.